Mrs. Lena Viola Sports Chavis passed away Thursday, January 17, 2019, at McLeod Regional Medical Center in Florence after a brief illness. She was 73. Mrs. Chavis was born August 31, 1945 in Latta, SC. She was a daughter of the late George Wilbur and Mary Alice Gunter Sports. She was a member of Victory World Outreach Center. 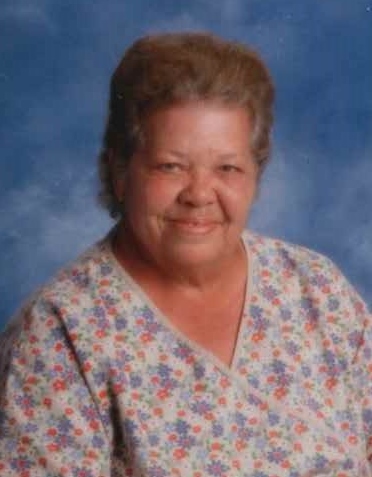 She was retired from the Marlboro County School District, where she was a cafeteria worker. She was a graduate of Lower Marlboro High School. She enjoyed playing on the computer, watching the stories, cooking, and most importantly spending time with her family. Mrs. Chavis was preceded in death by her parents listed above; daughter Annette Dixon; grandson, Matthew McCall; granddaughter, Amber McCall. She leaves behind to cherish her memory; husband, Claude E. Chavis; sons, Stevie Chavis (Charlene) of Bennettsville, Tommy Chavis (Lora) of Cheraw; daughters, Peggy Sports Smith (Gene) of Bennettsville, Sheila Kirby (Buddy) of Bennettsville, Penny McCall (Zannie) of Bennettsville, Cathy Irons of Bennettsville; brothers, Floyd Sports of Va., and Donald Sports of Salibury, NC; Sisters, Rosa Nell Hood “Tiny” of Blenheim, Jean Gray of Blenheim, Ruth Mosely of Thomasville, NC; 18 grandchildren and 22 great grandchildren. A funeral service will be held 3:00 pm Sunday, January 20, 2019 at Victory World Outreach Center, with burial at Bristow Freewill Baptist Church Cemetery, officiated by Pastors JR Chavis, Brock Jeffcoat, and Buck Gray. A visitation will be held from 6-8 pm Saturday, January 19, 2019 at Burroughs Funeral Home.